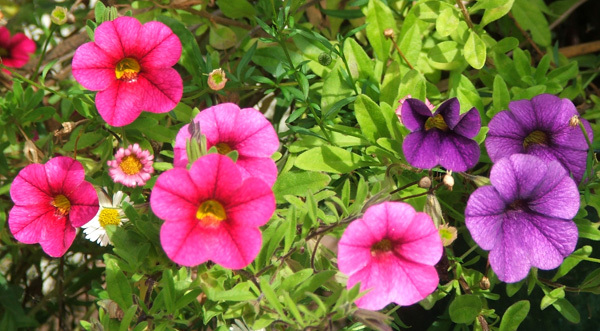 I always have some annual petunias growing in the spring and summer flower garden display. I plant them in the house gardens, or in pots. Blue is my favourite colour - all my gardening shirts are blue. And it's widely seen in my apres-gardening clothes, too. It's a colour I love to look out for in all the different areas of the Moosey garden. So Petunias in shades of blue are my favourites. I collect the seeds and then grow my own seedlings the following year. 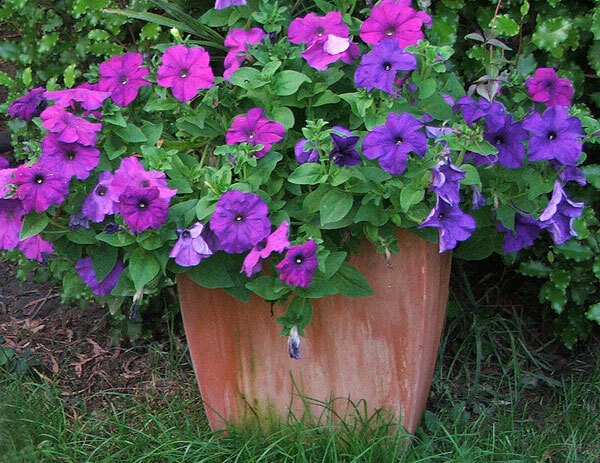 There is something very special about these flowering plants - they are long lasting, and there are many bright and varied colours with large flowers that gardeners can either sow themselves or purchase from nurseries. 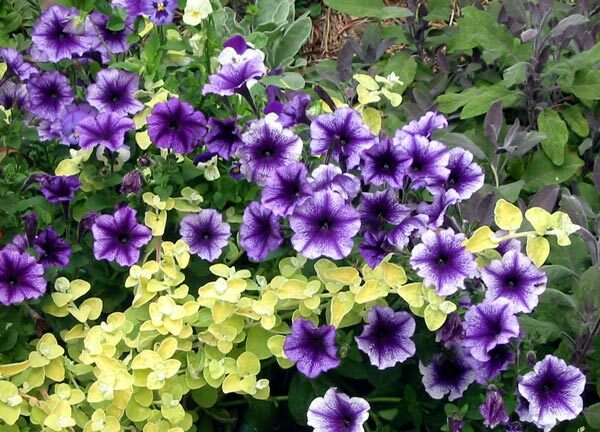 Blue petunias look fabulous paired up with lime green Helichrysum Petiolare in one of my lucky and inspired plant combinations. 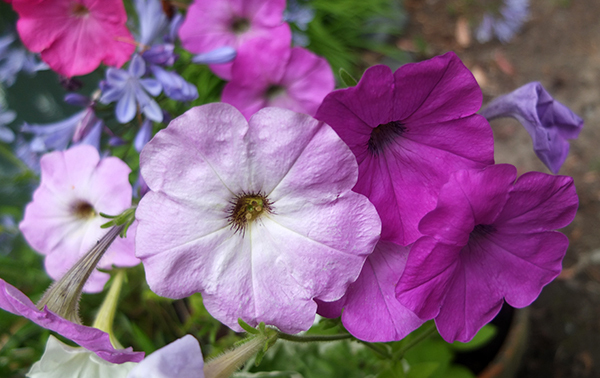 There are now many smaller flowered petunias available in the nurseries - the so-called perennial adaptations of annual petunias. For me, in a winter-frost protected place they are perennial, but I wouldn't trust them out in the open. The larger flowered annual petunias will always remain my favourites. The frilly ones are fun to try. The seeds are quite tiny, but they seem to germinate with ease. And there's always the instant flower colour available at the nursery!